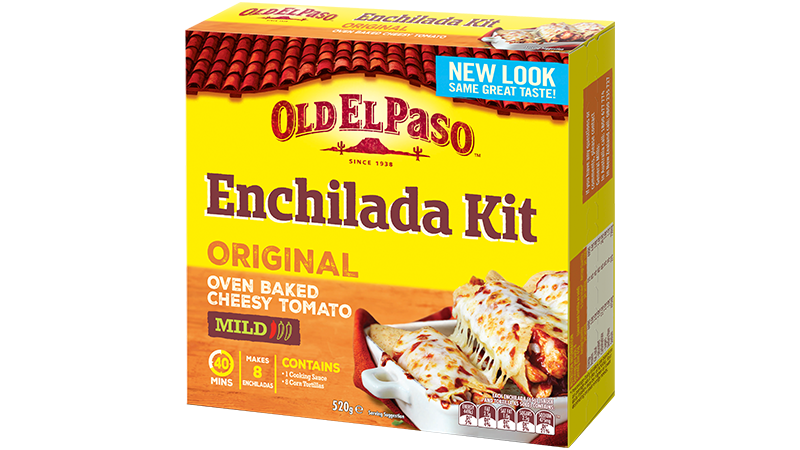 This simple recipe from Old El Paso™ makes 8 Classic Chicken Enchiladas and it’s so easy! All you need is our Enchilada Kit and a few fresh and tasty ingredients like zucchini, grated mozzarella, chicken mince and sour cream to complete the meal. 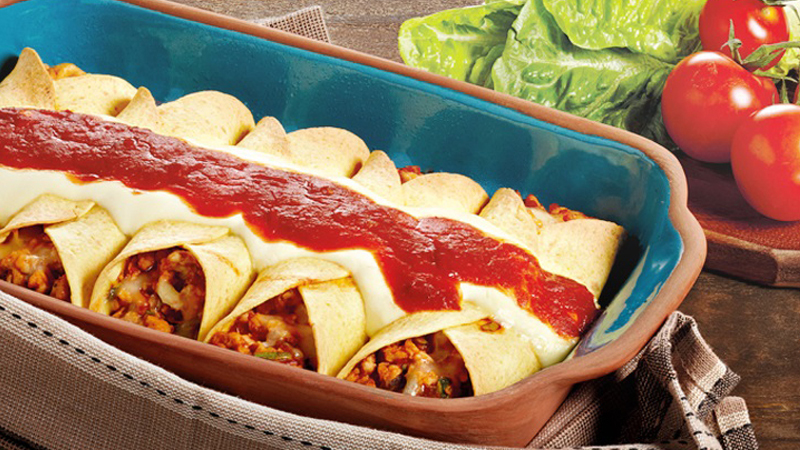 Bake in the oven until golden and bubbling – it’s a Mexican favourite! Preheat oven to 180◦C conventional (160◦C fan forced). Heat a little oil in a large frying pan over medium heat, add onion and cook until soft. Add chicken mince, stirring with a wooden spoon to break up any lumps, cook for 5 minutes. Stir in zucchini and ¾ of the Enchilada Sauce, reserving remaining sauce for topping. Reduce heat and simmer for a further 2 minutes. For warm and soft Tortillas follow on pack instructions. Place 2 large spoons of mince mixture into centre of each Tortilla, top with a sprinkle of cheese and fold over to create a tube. Place folded side up in a lightly greased oven proof dish. Repeat with remaining filling, cheese and tortillas. Top with sour cream & drizzle reserved Enchilada Sauce over. Bake for 15-20 minutes until golden and bubbling. Enjoy with a fresh side salad.